Betty King, who served as secretary of the Texas Senate from 1977-2001, passed away Monday. Ms. King was known for her grace, refinement, and ability to run the Texas Senate seamlessly. The committee room directly behind the Senate chamber and a public service award were named for her upon her retirement. 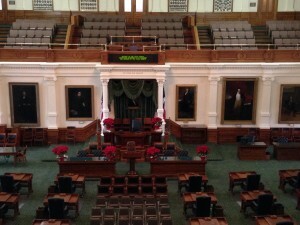 The Legislative Budget Board (LBB) voted unanimously to adopt the spending cap for the state’s next budget. The growth rate of 11.68% is about 1% higher than the spending cap for the current budget. The growth rate is set based on an estimated rate of growth in Texans’ personal income over the next two years. The next time you are in the Senate Chamber, check out the floor. New historically accurate carpet from England has been installed. Workers hand-sewed the seams together over 8 weeks to lay the custom green carpet. Governor-Elect Greg Abbott and five other incoming governors will meet with President Obama at the White House Friday to discuss job creation. The governors will also have an opportunity to meet with Vice President Joe Biden. This week the Texas Christmas Tree Growers Association delivered the official Christmas tree to the Capitol. 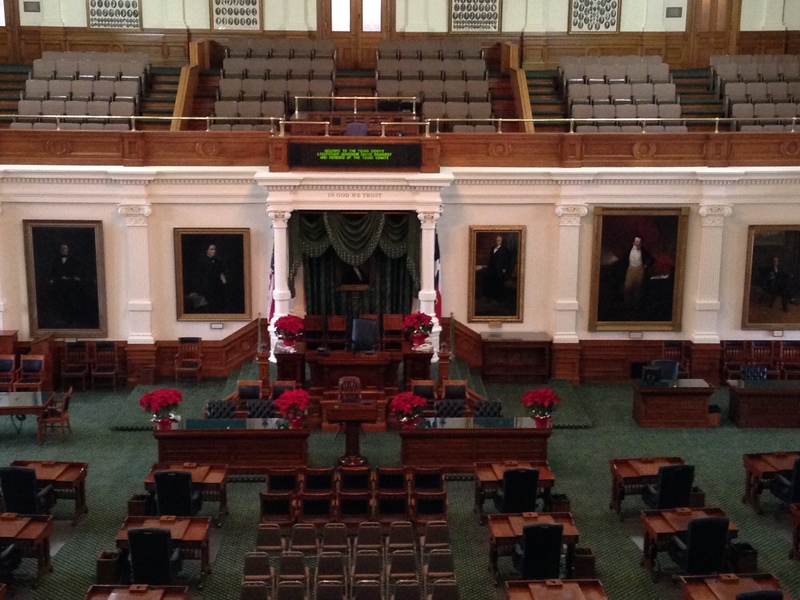 With help from the Texas Parks and Wildlife Department, the State Preservation Board installed the 19-foot Virginia Pine in the House Chamber. 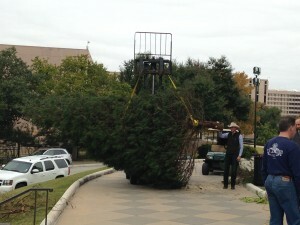 The tree is on display from December 5, 2014 – January 2, 2015 and will be decorated with ornaments from each House district.